HVAC Installation, Service & Repair. We Service all Brands. Providing Comfort all Year Long! We are currently accepting Applications for Employment for Service and Installers. JED Heating and Cooling, Inc. has a tradition of meeting customer needs. From the most complex installation to routine service and maintenance, JED Heating and Cooling has the tools, the people, and the products to provide a system that fits your lifestyle and budget. JED Heating and Cooling, Inc. has been in business for over 50 years. Heating Repair, Furnace Service & A/C Repair: We Service all Brands! Ask us for references from your neighborhood. Then let us show you how JED Heating and Cooling, Inc. can exceed your expectations in service and performance by making your home – and your budget- more comfortable. You can count on us now to deliver satisfactory service for all of your heating and cooling needs! HVAC Repair Company, Air Conditioning Repair & Service, Furnace Installation, Furnace Repair & Service, Heating Installation. Stop by our Facebook page to see specials and promotions! I am very proud to say that JED Heating & Cooling is located in Donora, Pa. I have had many furnaces installed in my rental properties and was so pleased with the professionalism and quick turn around that when it was time to purchase a new furnace and air conditioner for my mother, I knew exactly where to turn. Thank you JED for your many years of great service ! A very satisfied customer, Chris Bigi. On Wednesday August 22, 2018 Gary, Arnie, and Jake installed a new air conditioner at our home. The installation was done in an efficient professional manner. They arrived promptly and did the work in a timely and orderly fashion, and took every precaution to insure that there was no mess and everything was done with care for our home. 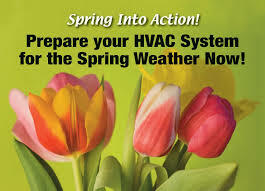 We are a long time customer and will continue to use JED for our HVAC needs. We appreciate Gary for all his help and guidance with this and all our other needs. Had furnace trouble this morning. Called JED as soon as they opened. About 1 hour later the technician, Garry, was here. He fixed the problem quickly for a reasonable price. The furnace sounds better than it did when we bought the house. I am very pleased with the service and would recommend JED to anyone. Thanks.